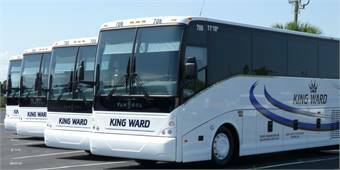 Chicopee, Mass.-based King Ward Coach Lines took delivery of six new 2012 Van Hool C2045 coaches as well as two refurbished C2045s. The new coaches are all equipped with Detroit DD13 engines and Allison B500G4 transmissions and have thee-point seat belts. King Ward also specified Van Hool’s unique rear passenger window, Wi-Fi, 110-volt electrical outlets, REI’s elite six-monitor entertainment system and enclosed parcel racks. King Ward is a member of the United Motor Coach Association as well as being certified by the U.S. Department of Defense (DOD) to support the military as a DOD carrier. 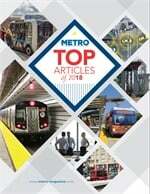 In addition, they are certified by the Transportation Safety Exchange.